I love real time marketing. It makes me feel involved, ahead of the game and even a part of the action. Apparently so do other marketers with about 83% of marketers saying they’re going to use more real-time data in their efforts, according to Infogroup Targeting Solutions. I personally believe that it’s a great way to build your social audience and maybe even help to influence what consumers purchase. That’s not to say everyone can implement real-time marketing successfully. In fact, you can’t just keep an eye out for trends and try to jump on the bandwagon by creating content based on popular topics. I’m sure that many people would agree that irrelevant and inauthentic types of marketing are boring for hyper-connected consumers. Successful campaigns make sure that their efforts add value to customer interactions, increase brand relevance, and make your brand dynamic. I would argue further that great real-time marketing turns customers into brand advocates by making sure their message (which needs to be relevant) gets to the right person at the right time. Take J Crew for example. In December 2013, Charity Water’s Paull Young was riding a New York Citi bike when he fell in the rain. He tweeted he was fine, but that his khakis were completely ruined. At the end of his tweet he added “#PLEASESENDPANTS”. Citi Bike quickly brought Paull a gift certificate with the help of @JCrew. He then rode up to get new pants at J. Crew. In turn he tweeted how ecstatic he was, plus a Foursquare check-in where he got his replacements. This event was also covered in the media. So how can your brand make sure you create thoughtful and top quality content in a matter of minutes? 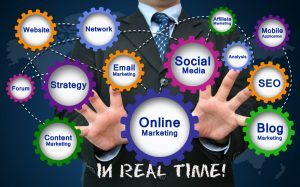 With careful planning, you too can create effective real-time marketing strategies. Colin Mitchell, worldwide head of planning at Ogilvy & Mather, estimates that more than 50% of the work that goes into managing a social campaign will mostly likely happen after it starts. He stresses that marketing campaigns should focus on conversation management, creating dynamic content and real-time optimization. Rapid prototyping – No need to plan for months or years on a campaign. Creating opportunities in the media – Future partners should collaborate with agencies for more effective media placement. Quick response research – Research will have to be about what is going in the present moment, which means that listening is more important than ever. Planning for conversations – Your brand will need to know what its point of view is. You also need to prepare to engage if you want to be talked about. Planning for the end – Make sure that your “story” has a satisfying and meaningful ending. Budgeting for an entire campaign – Your budget needs to make sure it’s planned for the entire duration of your campaign. As well, the majority of your effort should be management, not preparation. In order to connect with consumers in a meaningful way, brands need to put some thought into what types of content they want to produce. What I’m really saying is that you use essential questions to guide you throughout your marketing campaign. It would be a shame to have your hard work go to waste. 1. Is the content authentic and relevant to my brand? An example that comes to mind is when Pantene got an artist to sketch pictures of stars’ hair during the Oscars. The then put these out as well as posted how to recreate the trendiest styles, featuring their own products, of course. 2. Do I have variations of content in advance of major events? Make sure you have your strategy, business goal, content and approvals ready ahead of time. This can apply to either a brand event or a major event like the Oscars. Think about when Pepsi used its “get the skinny” content when it introduced a new thinner can during Fashion Week. Or even when HBO prepared different content ahead of time to when they didn’t know which of their Emmy nominated shows would win. The “right” content went out in real-time. Some companies are responding to major events like breaking news. Coca Cola very wisely redirected all money towards their local brand advertising to go to relief efforts for the Typhoon Haiyan in the Philippines. The $2.5 they spent help to gain them a lot of publicity and global recognition. Of course, you want to be sensitive to whatever the unanticipated event is, all the while keeping it authentic to your brand and the unfolding event. 3. How specific am I being with my target audience? The more specific you are in targeting your ideal customers, the more effective your campaign will be. A pretty clever (and I would argue promising) way to target audiences is through location specific content. Smartphone technology can actually target consumer’s location and use that to promote content specific to that location at the right time. For example, guests at the Bellagio Las Vegas get smartphone notifications from MGM for restaurants, shopping, deals for shows and other promotions that are close by. Also GPS phone app Waze partnered up with Taco Bell to trigger ads when drivers’ smartphones were close to a restaurant location. Good on them for only doing so when they are at a red light. 4. Can I use analytics to drive my content? Using real-time analytics can also help target specific customers. For example, Walgreens’ Foursquare program targets shoppers who check in at one of their locations on Foursquare. They immediately get a coupon. 5. Is my brand interacting with customers in real-time? You can’t ignore the fact that customers expect brands to respond their questions and complaints. Think about the J. Crew example, or even Pretzel Crisps, who replies to people with an offer to send product samples when they tweet that they’re hungry. The value of real-time marketing lies in how “social” you can get with your message. It’s about moving from outbound to inbound marketing. Customers want to know you are listening and engaging. You want to be able to build a stronger brand. This type of marketing helps create ongoing opportunities for you to do so. If you are looking for tools to help you identify what’s trending Yael Kochman gives some great tips in this article My 5 Favorite Ways to Find Trending Topics.